You're napping on a breezy Sunday afternoon in the hammock of your backyard, enjoying the peace and quiet of your suburban utopia. 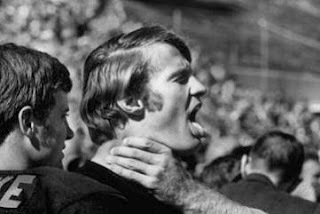 Slowly, your left hand eases up, wraps around your neck and you awake to find your own hand locked in a kung-fu grip on your throat. You pry it loose with your other hand, finger by finger, until it relents and you're left there staring at a hand that suddenly doesn't feel like your own. While it sounds like something from a horror movie, it's actually a very odd and very real medical condition known as "Alien Hand Syndrome" (AHS). Also known as anarchic hand or Dr Strangelove syndrome it was first identified in 1908 and there have only been 40 to 50 recorded cases since. It's believed that other instances may have been misdiagnosed as part of an existing mental health disorder. The rarity and non-threatening nature of Alien Hand Syndrome has led to infrequent research and a lack of hard data, resulting in a condition that's largely mysterious. It is a rare neurological disorder in which one hand functions involuntarily, with the victim completely unaware of its action. While the example above may be extreme, people who suffer from Alien Hand Syndrome have exhibited similar symptoms in certain cases. Less horrifying symptoms include involuntary reaching and grasping, touching the face or tearing at clothing. More extreme cases have involved involuntarily stuffing food in the mouth, preventing the normal hand from completing simple tasks and self inflicted punching or choking. While it's viewed as more of a nuisance than a medical threat, its sufferers often experience psychological problems and embarrassment and are occasionally put in harm's way as result of the renegade limb's actions. Alien Hand Syndrome differs from other conditions of involuntary limb movement in that the actions of the affected limb have purpose and are goal-oriented. The affected hand will pick up an object and attempt to use it, or will perform a simple task, such as buttoning and unbuttoning a shirt. Patients retain all sense of feeling in the alien hand, but they often describe feelings of disassociation. Patients may also exhibit strange behaviors, such as speaking to the hand, claiming demonic possession or referring to it in the third person.